we are celebrating 20 years of Academia Sighisoara this year! We would like you to join us between the 1st and 14th of August 2013 to celebrate the jubilee with music, arts and encounters. The opening of Academia Sighisoara will be on the 1st of August, on Switzerland's National day, celebrated with an open-air alphorn concert as a Swiss delicacy, followed by a gala concert at the City Hall. 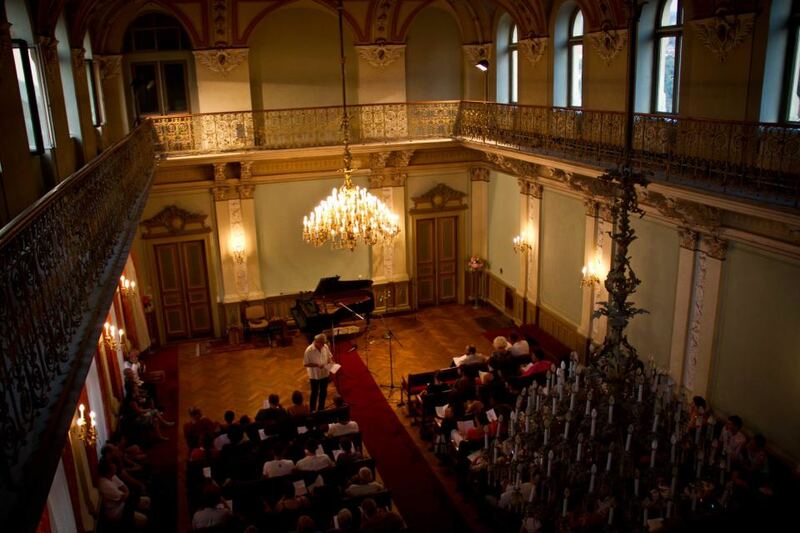 The Festival offers 15 concerts in 4 different locations in the wonderful medieval town of Sighisoara. The concerts will be held at the City Hall, the Monastery Church, the Synagogue and the Blacksmith's Tower, where a year ago we had the opportunity to perform lunch concerts with the students for the first time. This year we are expanding our program at the Blacksmith's Tower by opening the "Swiss pavilion", an exhibition of art-works in one of the citadel's 9 remaining bastions. Our jubilee is celebrated by 35 wonderful artists, by the students of the academy and of course by those who attend our events. Join the 20th jubilee of Academia Sighisoara 2013!